The online version of this article ( https://doi.org/10.1186/s13148-019-0656-7) contains supplementary material, which is available to authorized users. Of these, three articles were excluded because they did not measure DNA methylation in a peripheral tissue [28, 29, 30] and 11 because they did not calculate DNAmAge using the epigenetic clock calculators that met our inclusion criteria [6, 31, 32, 33, 34, 35, 36, 37, 38, 39, 40]. 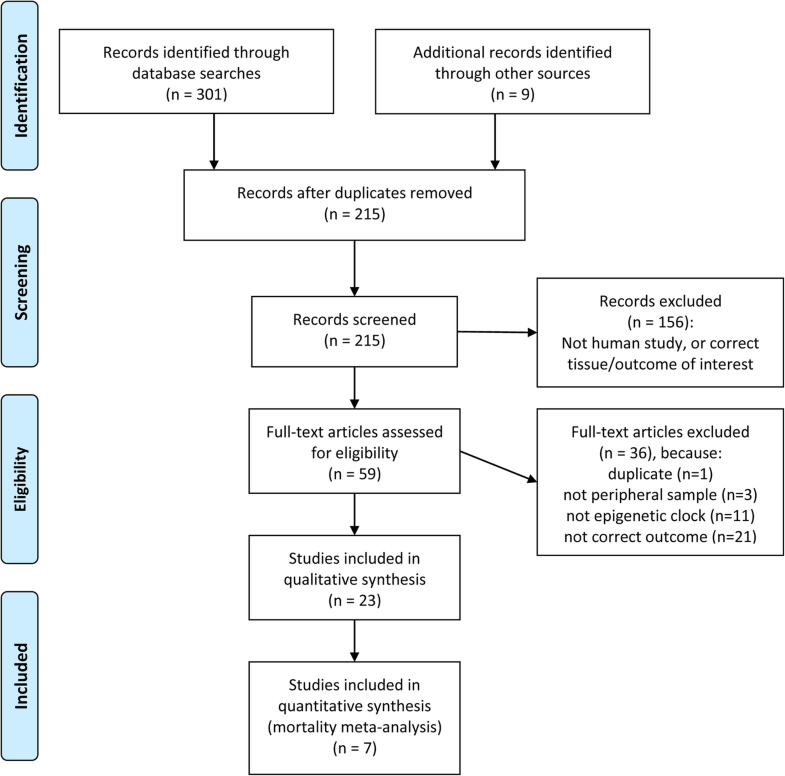 A further 21 studies were excluded because they did not measure an appropriate outcome. For example, 14 did not measure a disease outcome, mortality, or longevity [41, 42, 43, 44, 45, 46, 47, 48, 49, 50, 51, 52, 53, 54], 1 study investigated prevalent, not incident, diabetes , 2 studies examined physical frailty [44, 56], 3 studies focused on ageing-related genetic conditions [57, 58, 59] and 1 on twin differences . Finally, one study was excluded because it was subsequently found to be a duplicate . Eleven studies (27,840 participants, 10,233 deaths) investigated the association between age acceleration and mortality (Table 3) [11, 13, 17, 18, 67, 70, 72, 75, 76, 77, 78]. 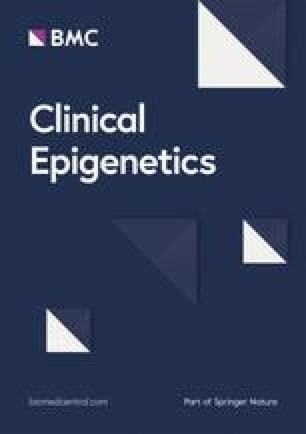 Results from 7 of the 11 studies, involving 17 individual population samples and 17,988 participants (5277 deaths), were combined to perform two independent meta-analyses (6 studies per epigenetic clock method) that investigated all-cause mortality [11, 17, 18, 72, 76, 77, 78].